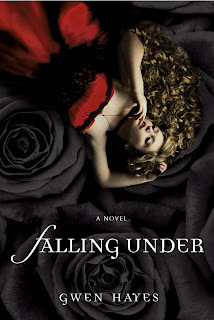 Falling Under is a dark, edgy novel that had me reading every chance I got. While the novel is paranormal romance, there are no werewolves or vampires here. Something much more evil lies in the past of Theia's romantic interest, Haden. 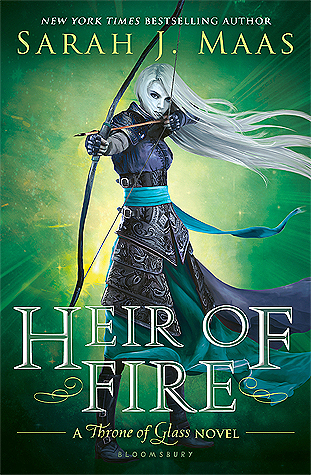 Theia is, in my opinion, a wonderful heroine. She reminds me of myself in many ways. Theia is quiet and shy on the outside, but on the inside, she has a fiery strength and determination. Part I of the book is told entirely from her point of view, and it was definitely my favorite of the three parts. Haden is your classic tormented-bad boy. Sarcastic and cocky, he brings a wave of excitement and danger into Theia's otherwise boring life. I love his personality, as well as the mystery that comes with his character. As I said earlier, the book is divided into three separate parts. The first is told from Theia's point of view, the second from Haden's, and the third from Theia's again. Things are intriguing and steamy during the first part. Then the plot takes a strange turn during the second part, which I didn't really care for. Part III is only half a dozen pages long, yet somehow it was able to make up for the weirdness of Part II. Warning: This is quite the lust-filled romance novel. While nothing explicit ever happens, I would recommend the book to mature audiences only. Falling Under pushes the young-adult-appropriate romance boundaries. 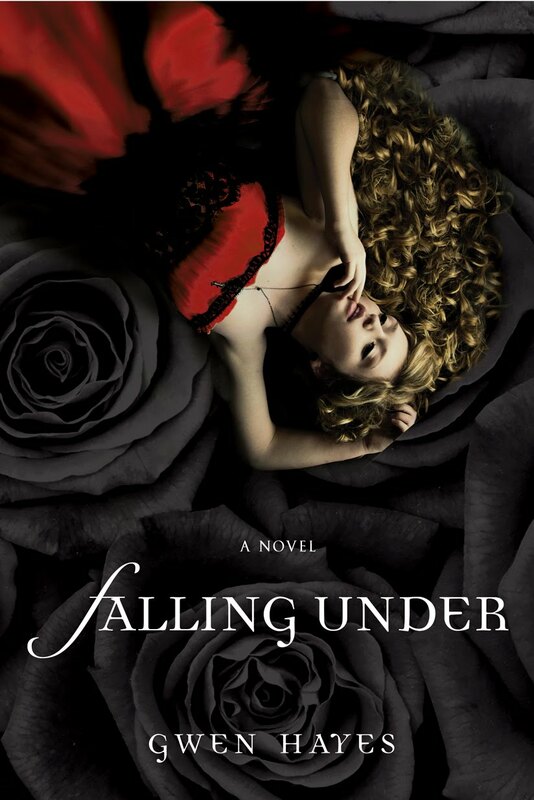 Overall, Falling Under is a captivating read about two lovers and the evil that comes between them. I still have a couple of questions, and I'd love to see Hayes come out with a sequel. If you're looking for a dark, romantic read, then you've found the perfect novel! Great review! I really want to read this book! Thanks for posting the review!!! I've really been wondering about this one and this is the first review I've seen! new GFC follower! love the blog, found it on the YA book blog directory! =] im excited to read more!! how did you get ahold of this book?? ?